“Iron Man 2” debuted this weekend with a $140M box office pull, helping Paramount Pictures score its best film debut of all time. But Robert Downey Jr. and his repulsor ray were unable to take down the “The Dark Knight” for the biggest movie opening ever ($158M). The only way that would have happened is if (God forbid) Downey croaked before the premiere. The fifth-best opening weekend in Hollywood history definitely took away a slice of the pie from Mr. Kreuger, who got clawed back to a meager $9M. 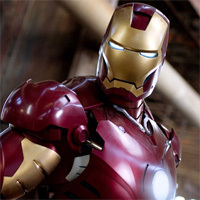 Many believe that the “Iron” franchise left some money of the table by failing to release the movie in 3D, where ticket prices would have been jacked up even higher. Forget “The Dark Knight,” “IM2” isn’t even the biggest film of the year (yet). The Tim Burton “Alice in Wonderland” remake has grossed close to $1B (with a B!) worldwide so far. Do you think “Iron Man 2” will catch up? I agree. It didn’t really surprise me either. Good movie. Loved it! My son went wild. We then went to scriptteez.com and bought movie line T-shirts.